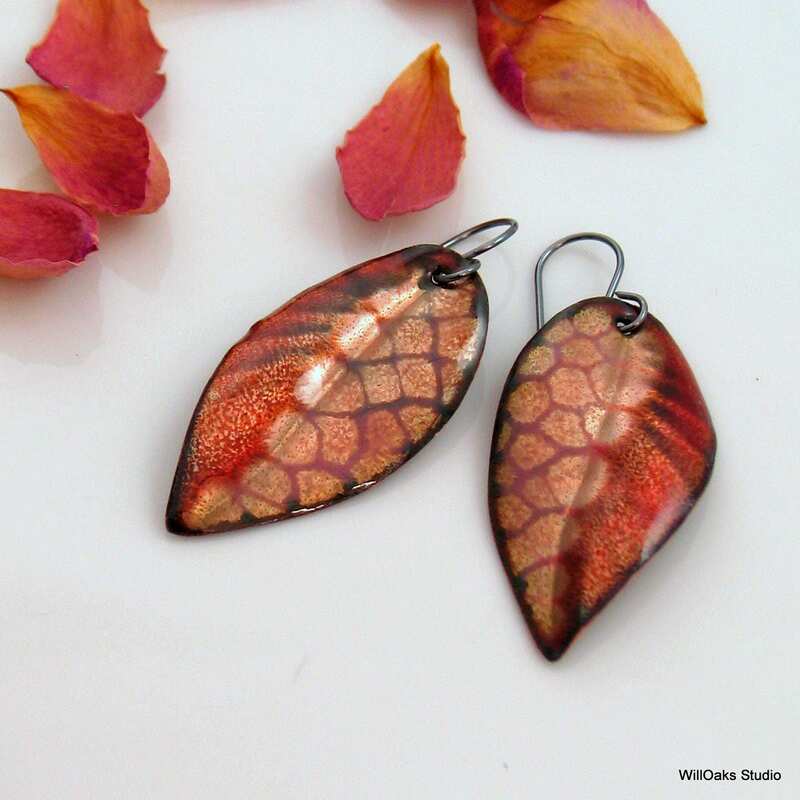 Rich autumn colored enameled earrings dangle from hand crafted oxidized sterling silver ear wires. 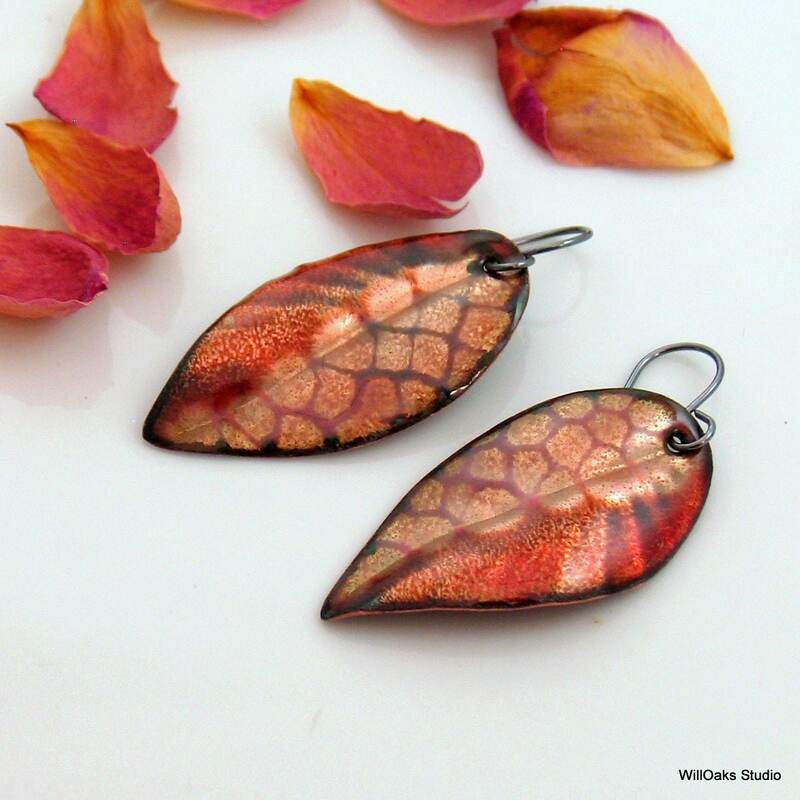 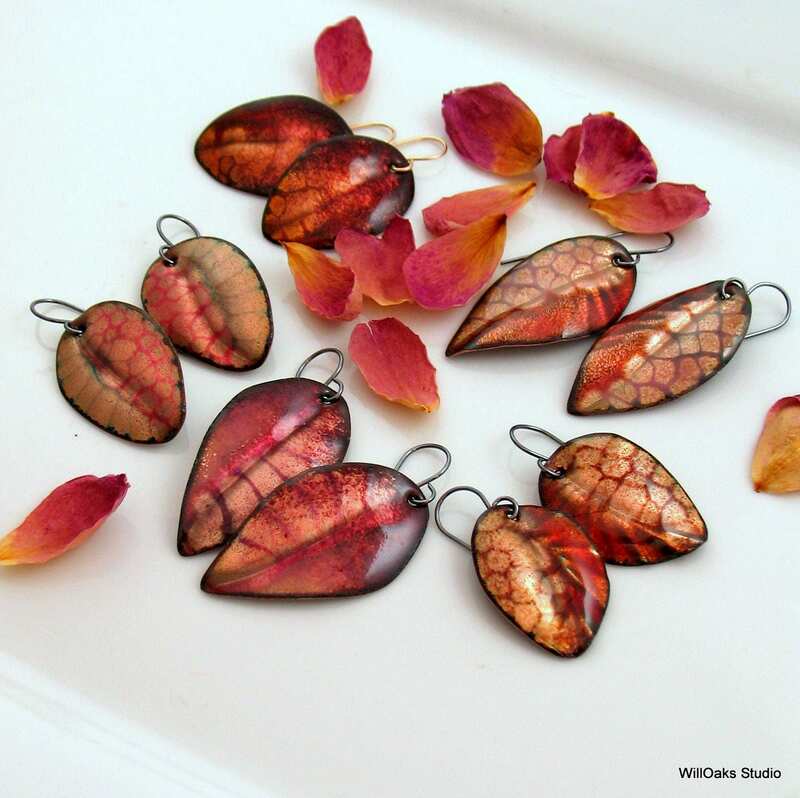 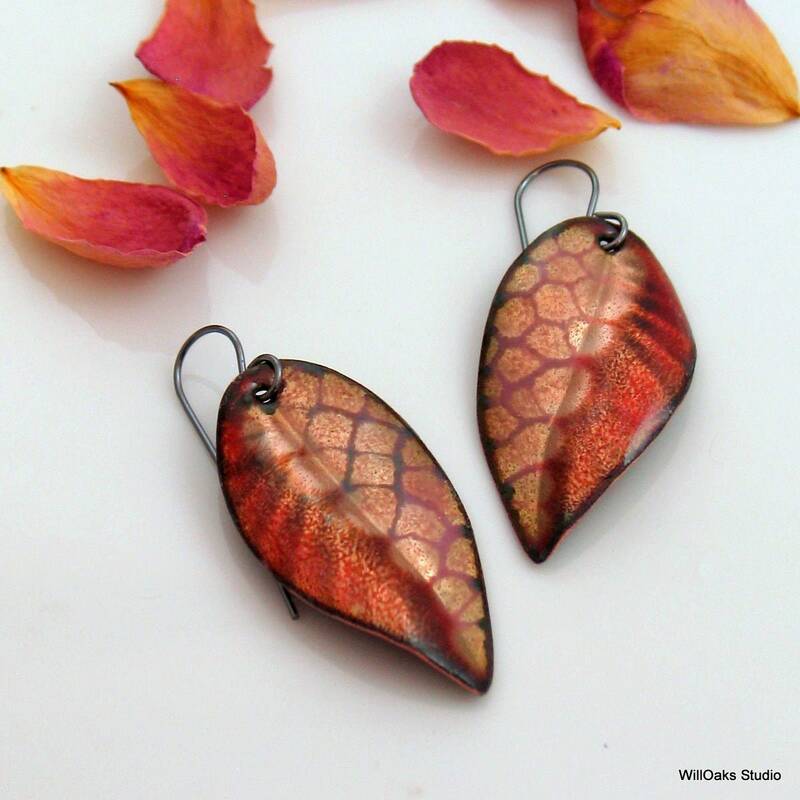 Copper enamel abstract art leaf dangles with nature inspired patterns & texture. 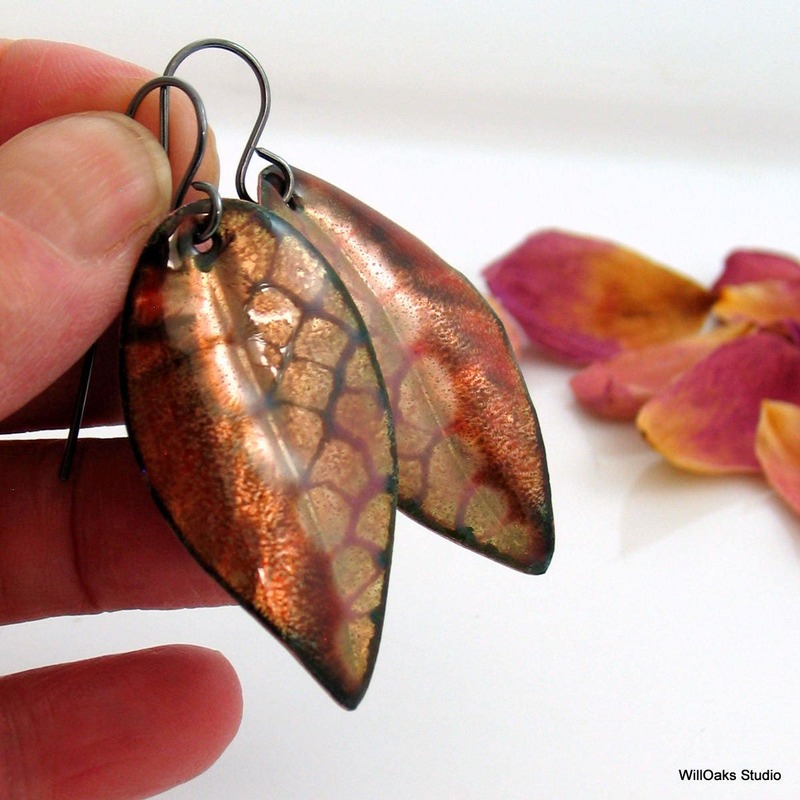 Transparent glass enamel covers textured metal, subtle patterns & polished copper for original hand-shaped and formed copper earrings. 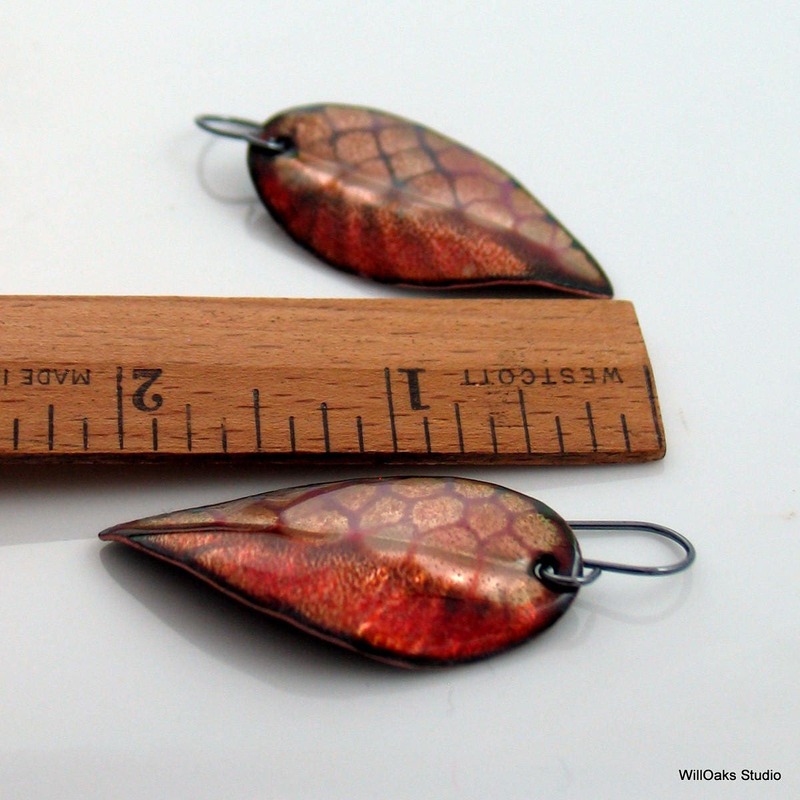 One of a kind gift and ready to mail. 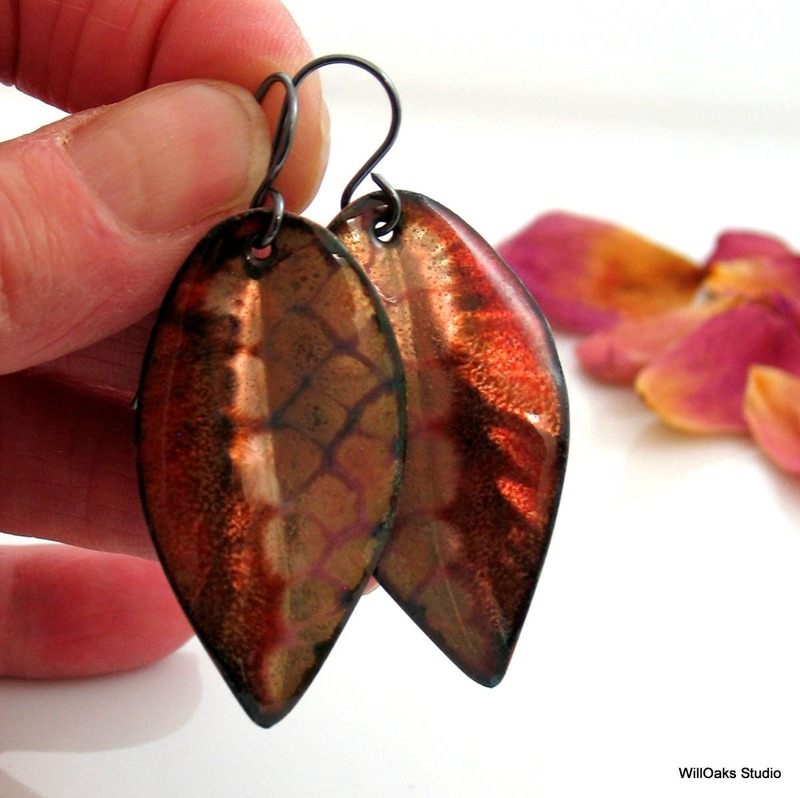 Hand crafted longer earrings are bright, lightweight and very easy to wear. 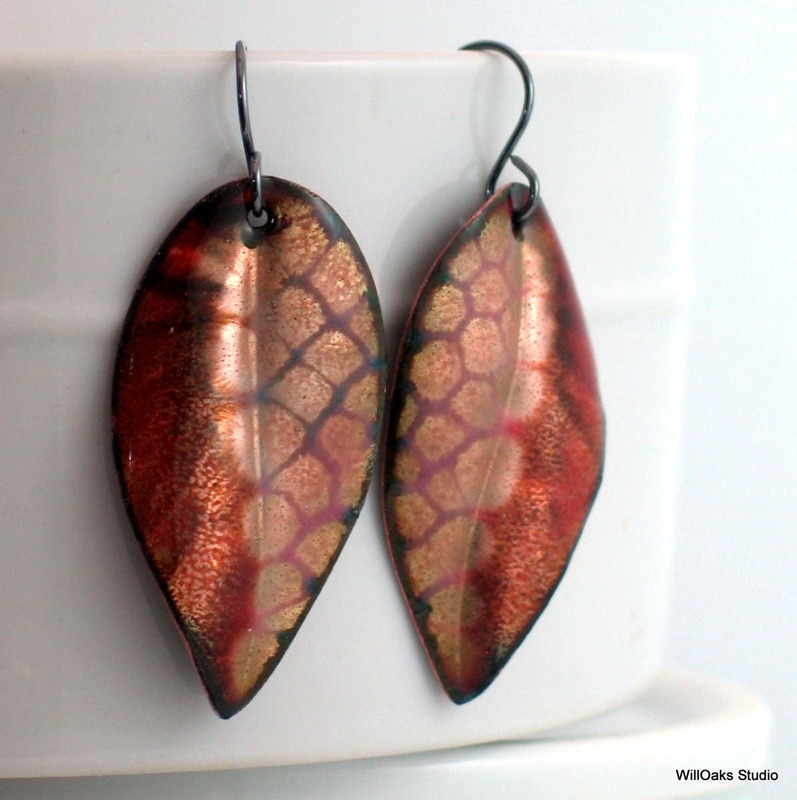 WillOaks Studio design and one of a kind.